Seminar was presented by nutritionist Marty Adams from Triple crown feeds. 2. It was written well enough it was understood and RETAINED. 3. Looks like I got most of it right (very nice to have independent confirmation of the stuff I post here that I’ve researched on my own). OK. Moving onto seminar content. Sweat is most effective when evaporation is highest (evaporative cooling). Evaporation is highest when temperature is high…but humidity is low. This is the concept beyond the various heat indexes that try to combine temperature and humidity into a figure that gives you an accurate representation of how hard your horse is going to have to work to dissipate heat. Adams presented the “EAT” which is an abbreviation and as close as I can tell is the addition of temperature and humidity….. Under 150 is considered OK. 150-179 is considered a “caution zone”. Values that are 180 are higher suggest you should NOT ride. To continue to generate sweat you must have water. Thus, much of managing heat stress in horses is making sure water intake remains high. I’m not going to go into the specifics of how much water is being lost and the specific gallons of water a horse must consume to replace it. It’s information we have covered over and over here, and I feel like if I present too much repeat information you are going to start skimming these articles and thus miss a helpful, new detail. I feel like specific numbers relating to how much water is being lost are mostly for shock value – to emphasize that just because your horse drained a 2 gallon bucket of water does NOT mean he’s even close to replacing total losses at an endurance ride. Think in big “muck bucket” type quantities and you have a better idea of how much water your horse needs to drink. Adams did mention that conditioning is a huge factor in how much water a horse will lose. 45-65 degrees F is the preferred water temperature of horses. Providing water in an insulated bucket in the shade will help. My thought: might be worth temping the water being provided for your horse at vet checks or the trailer. Like we’ve discussed before thirst is driven by a loss of body fluid (hypovolemia) and an increase in the sodium concentration in the plasma (if you take away the water and have the same amount of sodium, or if you are losing sodium slower than water than sodium concentration will rise). Recall from my posts last year that horses lose more sodium in their salt than humans (humans are better about “filtering” out the sodium before that fluid we call “sweat” ends up on the skin) so even though lots of fluid is being lost, some sodium is being lost too, so it takes longer for the sodium concentration to rise in the blood – thus triggering thirst. Time for a bit of editorializing: This presentation was the same as previous ones I’ve sat through, as well as my other research on electrolyte supplementation. We talk a LOT about the function and importance of electrolytes and how inadequate the thirst mechanism is in horses, and how much water/elytes are lost……and we can talk about what electrolyte formulas make sense to supplement with – but the details of how and when to supplement elytes in an endurance horse during a ride are up for debate. There is a major gap between what we know about the physiology of sweat/electrolytes/hypovolemia….and how to translate that practically to our endurance horses in terms of electrolyte supplementation. Adams gave electrolyte brand and composition recommendations and some “maintenance” type recommendations but stayed away from specific endurance ride protocols. As we will discuss later (in the seminar report from “current research in endurance horses”) even having blood work that tells you electrolyte levels doesn’t give you the recipe for how to supplement electrolytes during a ride. It’s your choice how big a leap of faith you want to take when designing your electrolyte protocol. Take what is listed here as yet more information to add your knowledge base. Cl > Na > K > Mg, Ca. Ideally sodium chloride is the first ingredient and potassium chloride is the second. Stress Dex was the only specific brand called out as being mostly sugar based and not recommended. Other recommendations to support electrolyte concentrations in the gut was an every day diet that was composed of 1.5% BW in forage and no more than .5% concentrate (fat, grain). He comes back to discussing diet more in detail later so we will leave it at that for now. Ideas for HOW to supplement electrolytes – IMO these ranged from the obvious and unhelpful to the downright dangerous. – Mix beet pulp in a gallon sized bag with water and put electrolytes (look back at Dr. Susan Garlinghouse’s recommendations for feeding electrolytes for a much better overview on how to successfully do this). – Syringe it orally. Recommended buffering mouth and gut to prevent potential ulceration, which I agree with – but he recommends “mixing electrolytes in corn oil to help coat and protect the mucous membrantes”. PLEASE DO NOT DO THIS. Under no circumstances should you EVER attempt to syringe oil into a horse (or other animal’s) mouth. Oil does NOT trigger the swallow reflex like other solids or liquids and the horse WILL INHALE THE OIL. And once that happens you are SCREWED. At the convention I asked a couple other vets what their opinion was and one hypothesized that by adding electrolytes to the oil you make it taste vile enough that they would swallow it instead of inhaling it – but I would NEVER take that risk. And I wouldn’t recommend that any of my clients take that risk. Not to mention someone hearing this advice might think that since syringing oil in this case was OK it would be acceptable to do it in other instances without the “vile tasting” electrolytes. The other confusing thing is that he recommended CORN oil. Which NO ONE recommends feeding any more because of it’s pro-inflammatory properties. In fact Adams himself later in the presentation when talking about oils specifically recommends other oils besides corn. I have no idea what his thought process was of corn oil was in this context beyond that it can be more palatable than other oils (when fed in the feed). – Giving electrolytes through an NG (nasogastric) tube. Ummm…..folks don’t try this either. Not to mention I think this is ILLEGAL at endurance rides, can cause trauma, and you better make sure you have that tube in the STOMACH instead of the lungs once you start pumping water – my thought is your horse is in trouble if you have to start giving elytes through an NG tube and maybe you should just call your vet? Adams recommends giving electrolytes whenever the horse is going to be cold or stressed. Stress increases adrenal gland function which increases urination. “Add an ounce or 2 of salt a day to the horses diet”. He said if you aren’t using plain salt, add double the amount of electrolytes in order to get the amount of salt you want. For example, give 2 oz of electrolyte if your intention is to give 1 oz of salt. I’m not sure what my opinion is on this. Salt is needed in the diet and I give free access to loose salt and a block. I also will throw in an once or 2 of table salt or electrolytes in her mash on our ride days (a couple times a week. I tend to use salt when I’m working up to increasing amounts in food for palatability because it’s cheaper, and using electrolytes in the week leading up to a ride or trip so that there are no big changes on race day. I’m not sure that these sort of “maintenance” doses actually do anything to prevent impaction colics etc if the horse has access to salt in other ways – I’m doing it more so that they can handle the taste at rides. Remember back last year in my electrolyte posts where I mentioned that the horse has a HUGE reserve of electrolytes in it’s gut? Adam corraborates that and said that horses on high fiber diets have 75% more water and 33% more electrolytes in their GI tract than horses on a low fiber diet. Yet another reason to make sure that our endurance horses have a diet full of hay and grass and forage! There’s also more blood flow to the GI during exercise with a belly full of fiber. Increased blood flow is critical for the absorption of water, elytes, and energy. Don’t have good blood flow, won’t be able to extract all the goodies. Good blood flow also supports good function and prevents colic. The only down side to a high forage/fiber diet is that digesting the diet does generate more heat – but Adams said this was minor. Speaking of diets and it’s link to managing heat…. The “heat increment” (or HI) describes the amount of heat released into the body due to chemical breakdown of feed in the horses’s body. Feed that has a very low HI are fats and oils. Adams states that there are many advantages to feeding fats, but a decreased metabolic heat is one of them. – Fat also shifts anaerobic threshold, and less lactate is produced. – It was emphasized that the horse has to BE WORKING for this “fat metabolism” advantage to occur otherwise your horses are just getting fat as you feed fat…..
– Carbs have an intermediate HI, but the more grain you feed, the more risk of colic. Feeding fat actually allows you to increase the total amount of fiber you feed because fat is increased in calorie density – thus you can feed more bulk on the forage side, and still get the high calories into the horse without sacrificing the fiber/forage portion of the diet (which is so critical to avoiding many many health related problems). Fiber and protein have the highest HI (which was one reason Adams was not a fan of straight alfalfa diets – I’m not either for a multitude of reasons). For managing heat or cold stress, Adams suggested feeding diets that are lower HI in the hot weather (emphasize fats), and high HI in the cold winters (lots of high and high fiber). Common in electrolyte depleted horses (however – my thoughts here – thumps can happen for a variety of reasons and sometimes it doesn’t make sense – like at the very beggining of a ride in the cool of the morning on a well conditioned horse. So like anything in medicine, what is often cited as black and white can be more shades of grey. Just keep that in mind) and depletions of Cl, Ca, Na, and Magnesium. Especially losses of Ca and Mg. Excessive dietary Ca intake has an increased correlation to thumps because high amounts of dietary Ca tends to decrease calcitonin activity. Calcitonin is the “thing” that is responsible to mobilizing body Ca reserves when extra/more Ca is needed. If the diet is so high in Ca that calcitonin never needs to do anything……it tends to chill out and not do what it’s suppose to when it’s needed. In addition to it’s potentially high HI, this was the other reason that Adams doesn’t like straight alfalfa diets (and I agree). CORRECTION: please see the comments for a discussion on Calcitonin/PTH and it’s link to Ca. It appears he misspoke and/or put the wrong thing on the slides (or perhaps I heard wrong, but I remember copying it from the slides….I’m going to see if I can find his email and email for a clarification). Calcitonin is on the wrong side of the “axis” and if the excessive Ca in alfalfa is inhibiting something it’s PTH (increased Ca would actually be increasing secretion of Calcitonin). Will let you know if I hear back from him. Thanks to the reader who caught this error. He touched briefly on fatigue, but we have talked SO MUCH about fatigue and recovery in the last couple of posts that I’m not going to bother rewriting it. He spent just a couple of minutes on very basic concepts and ideas that we have discussed here in detail – dehydration, lack of energy, hyperthermia etc. If you remember back to last year during the body water/electrolyte posts, we briefly discussed factors of fatigue in endurance horses and it was discussed in Hinchcliff that perhaps the limiting factor in endurance horses was their ability to regulate their electrolytes and acid base balance. This is a concept that will come up again when we get to the “current research in endurance horses” seminar notes, so stay tuned. Needless to say hydration, heat, and electrolytes all play a big role in horse (and human) fatigue. Unfortunately these aren’t going to be new to any of you here. Travelling or pasturing horses during the cooler hours of the day/night, increasing ventilation, providing cool water for drinking and bathing, and how to sponge/scrape horses. The tried and the true. I was a little disappointed that he didn’t touch on the importance of heat conditioning horses since I feel like there is a sizable chunk of research on it since it’s been an issue at some international competitions. What I would love to see is some one present on some of the more less traditional or harder-to-quantify ways of cooling horses. – using ice water versus cool water and scraping versus adding rubbing alcohol to the sponge water. In summary, he touched on hydration, discussed electrolytes and what the composition should be in an electrolyte product, and explained some potential dietary contributors to generating metabolic heat (and it’s link to metabolic issues like thumps). All these factors play into the big picture of “fatigue”. The presentation was wrapped up with some practical time-tested cooling tips. Next seminar report coming up: Groin and pectoral muscle pulls. I was itching to read your write-up about this subject, as it brought up more questions than answers from a nutritional standpoint. Regarding the alfalfa, is it okay to feed it alongside grass hay while at a ride? My mare has 24/7 access to Timothy round bales, is supplemented with square bales of orchard grass hay, and on days when she’s worked particularly hard she gets beet pulp and a flake of alfalfa hay. I’d been planning on providing both the orchard grass and alfalfa at rides, though I know she’ll go for the alfalfa than the orchard grass. It can be hard to get her to eat when she’s excited, but she will always go for alfalfa in this kind of situation. So my question is: would it be detrimental to a new endurance horse to be offered alfalfa at a ride if she eats grass hay the majority of the time outise competition? And I read somewhere that horses at endurance rides should NOT be offered fat, though I don’t remember why. What are your feelings on that subject? My mare also gets a fat supplement (omega 3). Should fat supplementation be reduced prior to a ride? I agree with you on the corn oil: I was surprised when he mentioned it, but he did clarify at the end that it is the most palatable of the oils. – Fat must be fed 6-8 weeks for effect. Take them off of fat 5-7 days prior to an endurance ride. Read the links I’m going to post…. – 25% alfalfa in the daily diet is OK. And there are good reasons to feed it including it having a nice complete amino acid profile for muscle repair and recovery. I tend to throw half a flake of alfalfa at her after hard rides, and she gets free choice alfalfa and grass hay at actual endurance rides. I haven’t had any issues with my horses offering a different forage at rides than they normally get, but your mileage may vary. You might decide to feed more alfalfa (up to 25%) the week or 2 before the ride and then maybe not give it free choice at the ride etc. – I wouldn’t feed corn oil under any circumstances, regardless of palatability. Because you ahve to work up in amount – starting very small and gradually increasing – I don’t find that palatability is an issue since they are getting used to whatever it is. The omega 3 and omega 6 profile of corn oil is so poor compared to other affordable choices on the market in all the nutrition lectures I’ve EVER attended at conferences at and the vet school do NOT recommend feeding corn oil. I’m going to go find those posts and link them at the bottom of the post, so give me aobut an hour and look back at the post. Here’s some links (this is easier than editing the post). I’ve tried to go through and tag and categorize some pasts posts into the nutrition etc. so take a look. ****Please be aware of dates when looking at my posts. Especially on selenium supplementation my views have changed over time. I do NOT recommend supplementing with selenium currently – recommend supplementing vitamin E first. Also, haven’t posted on antioxidants lately….but more is not necessariily better (same with NSAIDs, aside from kidney issues) in terms of getting the maximum amount of recovery/adaptation to training. I posted a long comment in response and WordPress deleted it! Aaaagh! Let me see if I can re-write it all. THANK YOU for the clarifications, explanations and for all the links!! 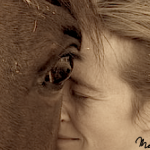 I knew you had written several posts on feeding the endurance horse but could not remember exactly when that had been so was having a hard time tracking them down! Thank you. :)I bookmarked this post so I can refer back to them in the future. And totally agree with you re: what Mr. Adams said about feeding corn oil. I haven’t fed it in a good 20+ years, since the research first started coming out that it might be pro-inflammatory. (That sentence just made me feel really old…lol) He mentioned it because of its palatability but there are *so* many other fat supplement options out there now that you can offer instead, both in oil and powdered form. There really is no good reason/excuse nowadays to feed corn oil. that’s one of the reasons I switched from blogger was how many people (including myself) reported that blogger “ate” their comments. SORRY!!!!!! Would like to reconfirm that without you, this talk would have seemed way more overwhelming than it actually was. You’re the best. Thank you so much! I write because it won’t stay inside of me and it’s so gratifying (and suprising) when someone tells me it “sticks”. Great write up, thanks! And I’m sorry what, adding rubbing alcohol to sponge water?? Do tell. Because alcohol evaporates faster than water, that’s why it feels so cool on your skin. Adding alcohol to buckets of water used to sponge has been hypothesized to cool the horse faster. I know right? Maybe he just threw everything on the slide of every way to give electrolytes? Editing my previous comment! I relooked up the mechanism based on your comment and initially wrote it down backwards here in the comment section, so this is an edited comment. In short, I think you are right. His slide and what he said verbally was wrong. For those of you not familiar with the mechanism: Calcitonin “tones down” calcium in the blood because it inhibits bone being broke down and release into the plasma. i.e. – there’s enough calcium in circulation already, that additional Ca from the body’s reserve (i.e. the skeleton) isn’t needed. So, if dietary calcium is high (like alfalfa) than less Ca is needed from the bone, and Ca is actually be deposited in the bone, which means Calcitonin levels are high. Then, when Ca reserves in the bone are needed (i.e. during an endurance ride for example) the lack of calcium means less calcitonin is released, and PTH takes over which does exactly the opposite of calcitonin – it allows Ca from the bone to be released into the bone. It may be that it is PTH that is inhibited by excessive dietary Ca NOT calcitonin. I’m going to see if I can dig up something that confirms that. Thanks for catching the error!!!!! I didn’t even notice it during the seminar. I can’t find any hard evidence for a mechanism linking PTH as the reason for alfalfa’s calcium content being linked to thumps. so that may or may not be the mechanism. If anyone has something to add to the discussion, then please comment away! BTW – I found his contact information on the internet and I emailed him asking for a clarification so I’ll report back if he responds!!!! Cool, I’d be interested to hear what he says. Is he a PhD or DVM? I don’t really understand his theory of hormones ‘chilling out’ and therefore not working (?) – that’s not how it works especially w/in the limits of whatever minimal hypercalcemia you’re going to get from diet alone. These systems are full of compensatory mechanisms (ie more than one thing working at once!!) and it’s not like any of this takes place in a vacuum..
(I started to write more but realized I was ranting… 😉 ) Thanks for following up! He’s a PhD. He just got back to me and confirmed that yes, his slide had a mistake and it should have said PTH. He said that the supression of PTH theory for thumps in horses comes from extensive research in dairy cattle that show a similar mechanism. I have mixed feelings about that. And while I agree with you that hormones are for the most part “instantaneous”….and have redundancy….the pathways and proteins for a hypocalciumia state are still gene coded and are up and down regulated – and so during an acute situation such as an endurance ride, I can see where the Ca metabolism might lag behind if the animal is normally hypercalcemic. Even if it took a couple of HOURS for the PTH to upregulate enough get Ca into the serum, that would be too long to respond to an endurance effort. The issue is while this is a nice theory….I’m not thrilled it’s based on dairy cattle (which most horse nutrition is because more money is in the diary industry for nutrition, but needs to come with a lot of caveats IMO until horse research can be done) AND while there does seem to be an association between increased dietary calcium and hypocalcemia issues (thumps) during rides…..I’m going to follow up with 2 other nutritionists that I trust in the area and see what their thoughts are. I’ll follow up on it. So using dairy cows as the model organisms for horses and Ca demands is sort of extreme. Yeah, Ca demand is high(er) during endurance rides, but no where near as high as a dairy cow. Apparently the mechanism in cows suffering from hypocalcemia NOT high dietary Ca. That was the thought a while back, but now they think it’s the high POTASSIUM in the diet. In case you haven’t made the connection, alfalfa is ALSO high in potassium (as well as calcium). Turns out it then becomes a simple acid base equation (never knew all that reserach into acid base that my readers made me do would come in so hand…. )…..high potassium diets make herbivores meetabolially basic (has to do with the relative charges of ions in their diet. I refer to it as the DCAD diet if you are interested in seeing the equation in the acid base stuff). If the animal is basic…..then there is no need to metabolize body Calcium as a buffer to correct an acidic blood back to neutral pH (herbivores are naturally alkaline/basic). And so (to summarize) it seems that in cows, it’s the high potassium that is inhibiting Ca mobilization when they need it. What about the horse? We aren’t sure. Endurance horses don’t get metabolically acidic – they get more metabolically alkalotic. So they also have blood that is slightly basic and a high K diet (alfalfa) will “blunt Ca mobilization”. IMO the first thing to do if trying to make a horse more acidic prior to exercise is to remove excessive K from the diet that is making the problem worse (which means limiting alfalfa)….And at least from the casual association that has been noted so far, just doing that may be enough to lessen the risk substantially? Alfalfa is a great forage for some things – amino acid profile for recovery, and a rich source of elytes during a ride. Additionally, it’s may hold onto vit E better than other hays after drying (at least for that season). So I’m not saying never feed it (I do during rides and after hard conditioning rides). However there’s *something* about it that is associated with thumps in endurance horses – and that might be potassium! (not Ca like I thought). GREAT questions and thank you for asking. Looks like it’s still wide open for debate and I was able to learn a bit and not go one perpectuating old information about the Ca, or at least can temper my information when talking to clients.